THE SKINNY: If oily skin is messing up your makeup mid-day, these mattifying tissues from Shiseido may help. 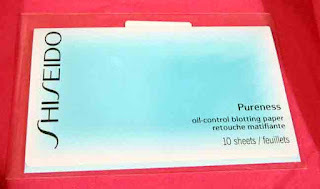 Just hold one blotting paper against the problem area and blot. The sheet absorbs the oil and a coating of transparent rice powder is transferred to your skin to help keep oil from returning. I was a little skeptical but curious. And I'm happy to say these tissues work fairly well, although "tissue" may not be the right word for them. I think of tissues as something soft and pliable. These sheets are stiff and crinkly -- and it takes a few tries to get used to them. My instinct was to rub the paper against my forehead, but that's uncomfortable and didn't really work. 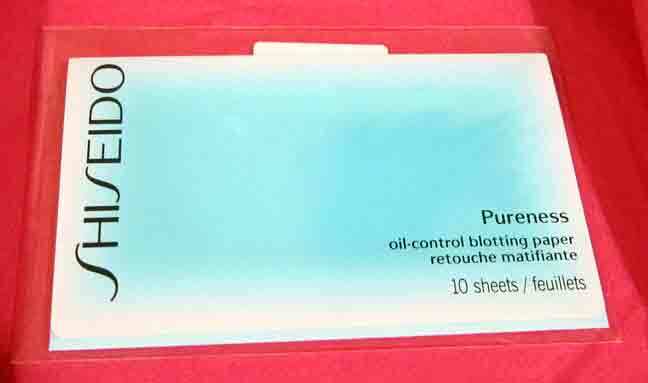 Blotting really is the only way to use them. I tend to use my sample about halfway through the work day. Followed with an application of my regular powder, my oily spots didn't return for the rest of the day. KEEP OR TOSS: Keep, but I'm not sure this will become a staple in my makeup bag. A regular tissue seems to do the trick just as well. CHECK IT OUT: Find these products at Sephora, where you can read other reviews.